While this year's Mary Kay Leadership Conference is keeping our UnitWise booth incredibly busy, we will also be documenting it with plenty of pictures and posts. Here you can see some of the UnitWise Heroes: James, Agie, and Glenn relaxing on the couch in the UnitWise booth just before they are met by thousands of Mary Kay directors. 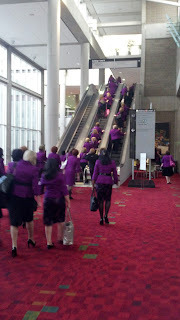 The conference is being held at The Georgia World Congress Center in the heart of Atlanta, Georgia. 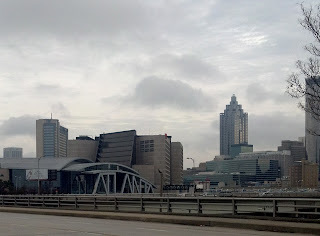 Our hotel is relatively close, and we can walk there to avoid the infamous traffic that Atlanta has to offer.